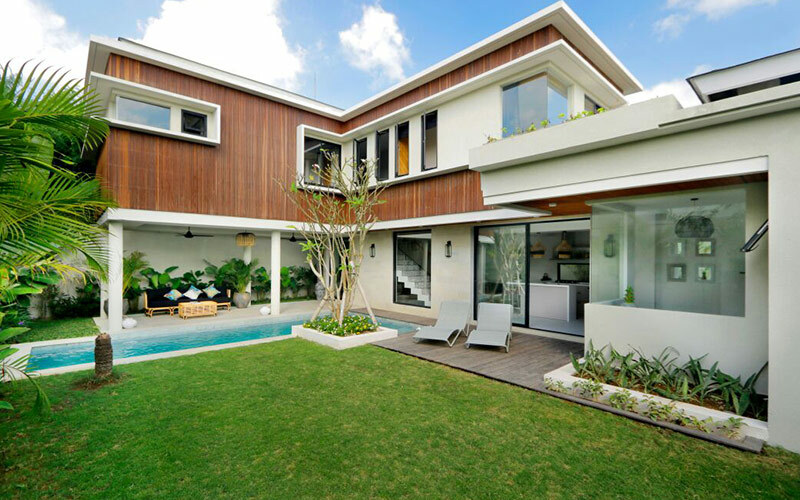 Get yourselves immersed while entering this modern villa. Built on two levels, this property of 3 bedrooms has been perfected by the stunning view of rice field, adding the Balinese touch to the house. The ground floor consists of living area, kitchen and dining corner with the sliding glass doors that give view to the garden and its swimming pool. All bedrooms are found upstairs, beautifully furnished, airconditioned and come with an en suite bathroom each. The property possesses a private parking space with a utility room that can be transformed to an additional bedroom. 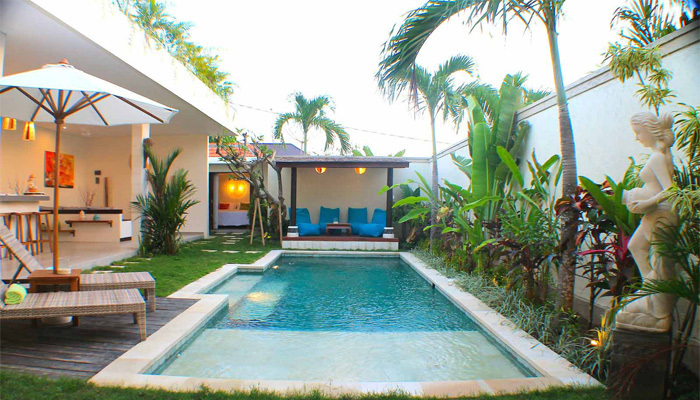 Located in a quiet alley in Canggu area, the famous beach of Berawa is only 5 minutes away while Seminyak is in 15 minutes.